Chatrium Residence Sathon Bangkok is extremely proud to be located in the heart of the City of Angels in one of the capital’s most exciting and vibrant districts and as a Chatrium residence is entirely dedicated to the group’s Corporate Social Responsibility (CSR) under the “Think First, Think Earth” campaign. 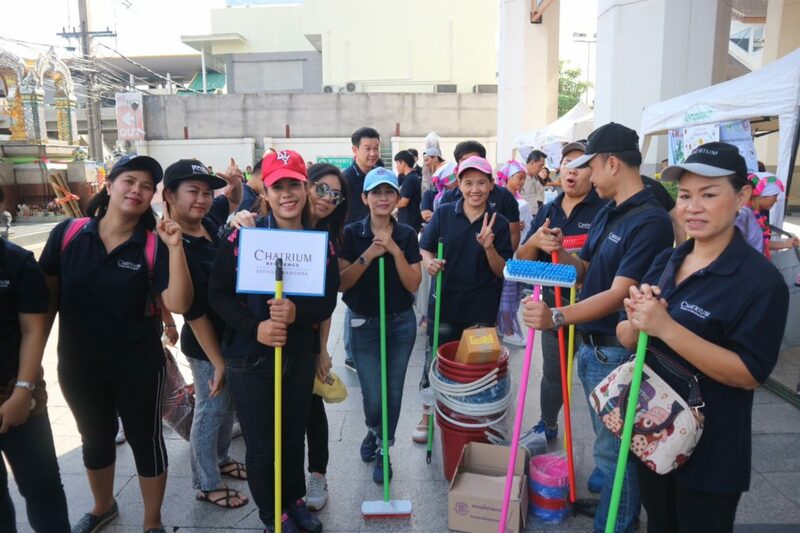 On Sunday 23rd July 2017 a team from the property led by Mr. Kriengsak Hansa, Executive Assistant Manager, joined Yannawa District’s “Big Cleaning Day” on the Rama III Road from the SV Building to the Krungsri Ayudhaya Bank where along with a number of other local businesses set about making sure the area was completely spick and span. 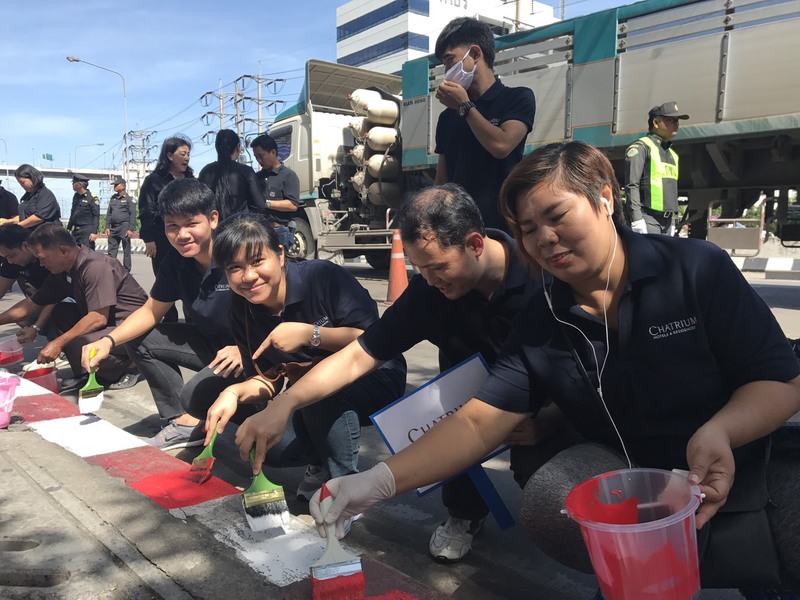 Between 8 a.m. and midday the team put their hearts and souls into the task at hand and beavered away scrubbing and cleaning the local bus stops, cleaning the pavements and cleaning and painting the curbside markings as well as planting new shrubs to beautify one of Bangkok’s busiest streets. 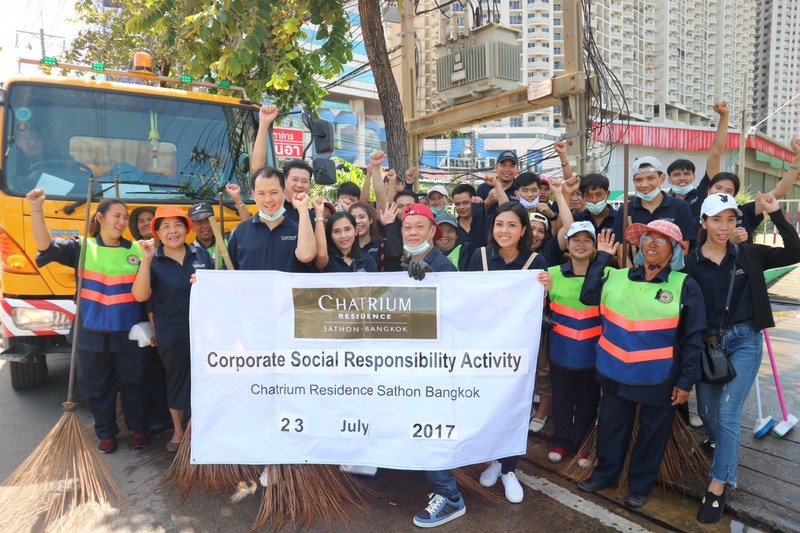 “At Chatrium Residence Sathon Bangkok we take great pride in our community and wish to ensure that visitors to the world’s most visited city leave with a positive impression and a desire to return. Of course this “Big Cleaning Day” is also of great benefit to the local people and we hope they enjoy the results of our efforts.” said Khun Kriengsak. 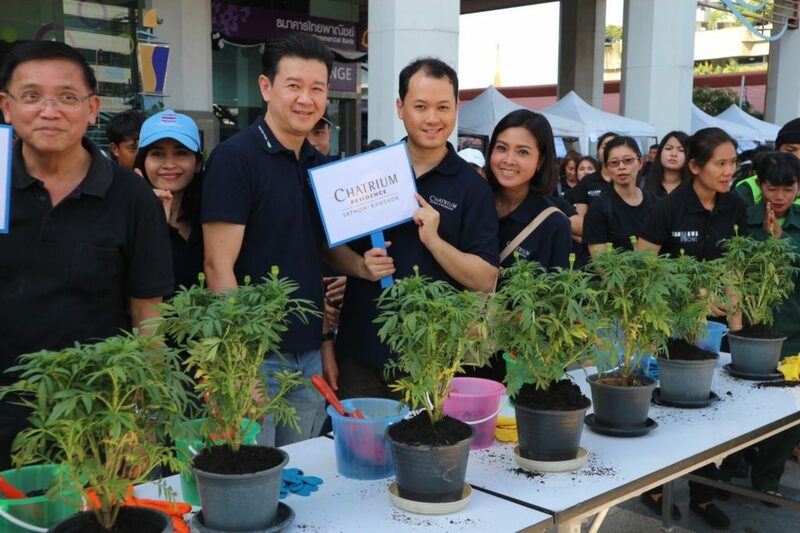 Previous PostPrevious Tell a Friend Get a Freebie!